With Michael away for the next week, I finally get to eat all of my favorite meals that he hates! Our biggest dispute is over soup. I love soup but Michael doesn’t feel that soup is a real meal. But he’s away so I get to eat all the soup I want! 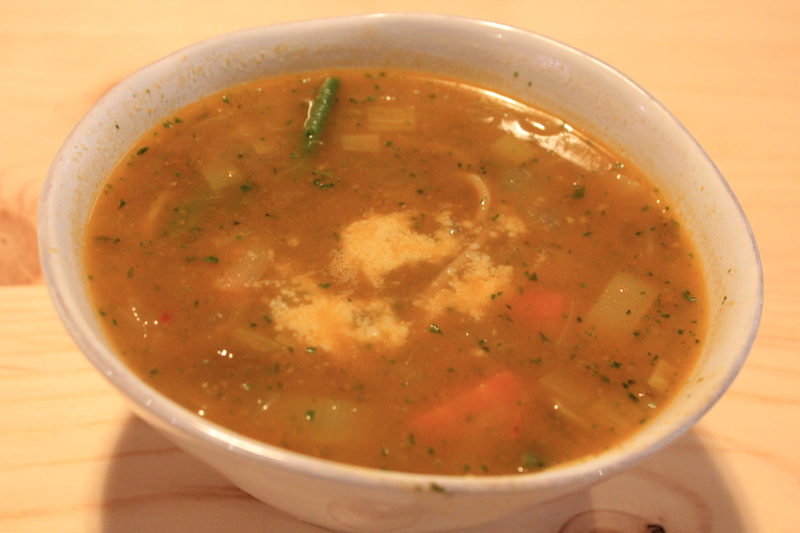 Ina Garten’s Provencal Vegetable Soup is one of my absolute favorites. I could eat it everyday and never get sick of it. I don’t make any major modifications to the recipe, except that I make extra Pistou and use whole wheat noodles instead of semolina. I find the potato/noodle combination particularly filling so I reduce the amount of noodles. This delicious salad accompanied my yummy soup. I was at my sister’s house and she had this amazing salad dressing by Salad Girl in Crisp Apple Maple. You can find it at Whole Foods in the refrigerated area of the produce section. I highly recommend trying it! I had a tiny cold last week and was really in need of comfort food. 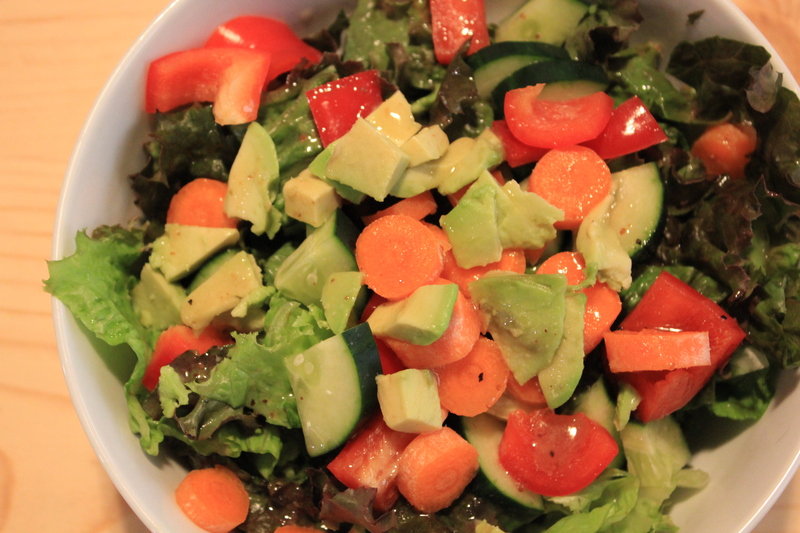 Now that I’m feeling better, I was compelled to counter all the heaviness of last week with loads of veggies. I plan our weekly meals before going to the grocery store. This way I only buy what I need and don’t have to worry about wasting food. Plus, it makes getting things ready super easy since I already know we’re having for dinner that night. Feeling uninspired when I was making my weekly grocery list, I turned to the interweb for some help. I found this recipe on the Vegetarian Times and was inspired to make it a little more budget friendly. Are pine nuts only outrageously expensive in Chicago? This meal was incredibly delicious. It was light, yet filling and had a wonderful hint of summer flavor. The success of this meal was confirmed by Michael’s second helping. Note: My sister gave me a bottle of Orange Muscat Champagne Vinegar from Trader Joe’s that she had leftover. It’s delicious! I used two tablespoons of this in the recipe, but you could also combine champagne vinegar and orange juice with a bit of sugar or honey. 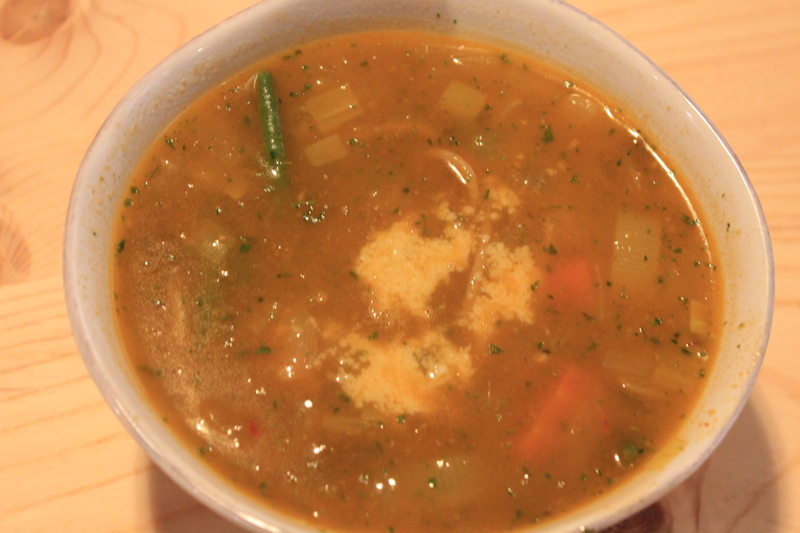 Bring the vegetable broth and cumin to a boil and add the quinoa. Cover and reduce to low heat. Cook until all the liquid is absorbed. Heat olive oil in a pan over medium heat. Add the carrots, onion and chard stems. Cook until the onion is golden brown. Toss in the chard ribbons, garlic, red pepper flakes and raisins. Stir in the orange muscat champagne vinegar and cook for about 4 minutes. Remove the pan from the heat and toss in the cashews. 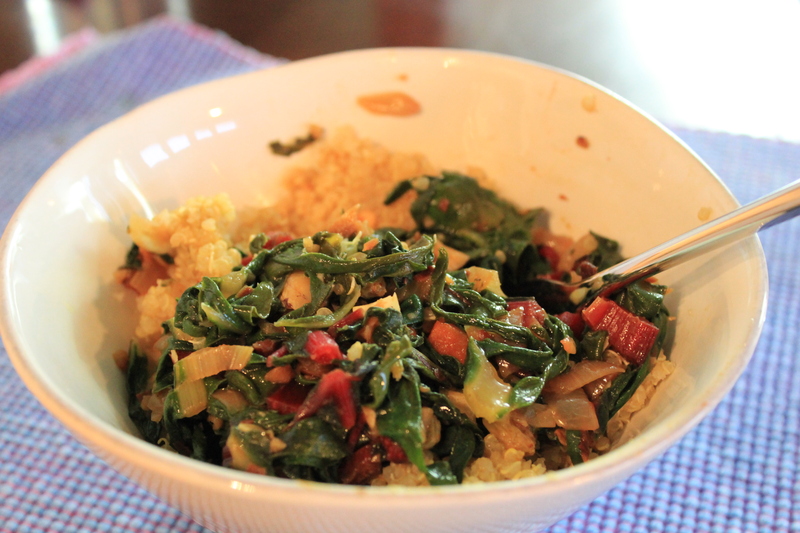 Spoon the quinoa into bowls and top with the chard.